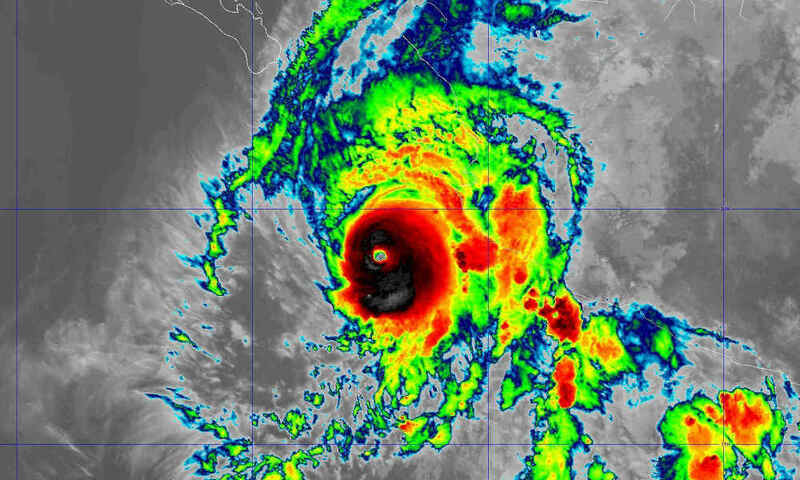 Hurricane Willa has continued to strengthen off Mexico’s Pacific coast, becoming a powerful category five storm as it moves closer to land, U.S. forecasters say. Landfall is forecast for Tuesday afternoon. Daniel Brown, a senior hurricane specialist at the U.S. National Hurricane Center, said the hurricane has a small, but very distinct, eye. “Willa is an extremely impressive hurricane in infrared and visible satellite imagery this morning,” he said. The center said in an update on Monday morning that maximum sustained winds have increased to 260 kilometers (160 miles) per hour, making it a “potentially catastrophic” category 5 hurricane. Additional strengthening is possible, but some weakening is forecast prior to landfall. As of 11 a.m. ET on Monday, the center of Hurricane Willa was located about 280 kilometers (175 miles) southwest of the Mary Islands, or 215 kilometers (135 miles) southwest of Cabo Corrientes, a cape in the state of Jalisco. It is moving towards the north at 11 kilometers (7 miles) per hour. Brown said additional strengthening is possible because Willa is in an environment of low wind shear and water temperatures of 28 to 29.5°C (82.4 to 85.1°F). But with evidence that an eyewall replacement cycle has begun, some fluctuations in intensity are possible. Willa is likely to bring extremely dangerous storm surge along portions of the coast of southwestern Mexico by Tuesday or Tuesday night, especially in the area where the hurricane makes landfall. Willa will also bring strong winds and heavy rain, which could result in flash flooding and landslides.